This IPS monitor for creatives boasts 100% sRGB and Rec.709 coverage and a modern thin bezel design, but we’re more excited about its built-in USB-C dock. A single cable carries video, audio, four USB peripherals and power for your laptop — awesome! Here’s our review of the BenQ PD2710Qc. The PD2710Qc has a modern design, with slim and dark bezels on all four sides of the 27-inch 8-bit panel. The monitor has a resolution of 2560 x 1440, with a quoted 1000:1 contrast ratio, 350 cd/㎡ peak brightness and 5 ms GtG response time. 1080p monitors at this size look a little grainy, and 4K monitors require scaling in Windows, so 1440p is a reasonable middle-ground choice. The screen is suspended above a flat base, which slopes downwards gently to allow laptops to rest at a comfortable typing position. The base easily accommodates 13-inch and smaller laptops, while 14 and 15-inch laptops can still be used but may overhang slightly depending on their dimensions. Buttons to control the OSD are on the back of the monitor, with their positions indicated through subtle lines on the front. The stand of the monitor is quite adjustable, capable of rotating into portrait mode, tilting and being raised or lowered as required. A hole in the back of the stand allows cables to be routed more cleanly. The base of the monitor requires its own separate power supply, but adds considerable utility. A USB-C port is used to connect to a laptop, providing video, audio, power and USB connections. This provides access to four USB 3.0 ports, an ethernet port and a 3.5mm headphone jack. The idea here is that you can attach all of your peripherals to the monitor’s base, so you can hook up just one USB-C cable to get everything connected in one fell swoop. The back of the monitor itself has the usual video connectors, allowing use of the screen without requiring USB-C. There’s a full selection of ports, too: HDMI 1.4, DisplayPort 1.2 and MiniDisplayPort 1.2, all of which can provide the full 1440p resolution. There’s also a second full-size DisplayPort connector that supports MST technology, allowing you to daisy-chain multiple displays together while only using a single output — pretty sweet! 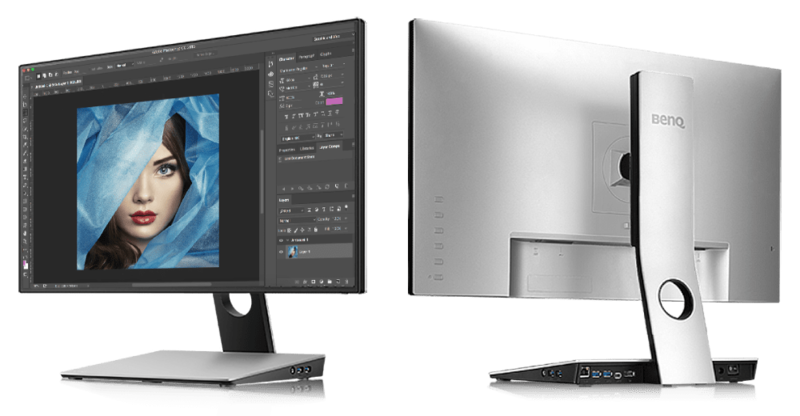 The PD2710Qc is a stylish monitor with all of the ports and features that we’d hope to see on something aimed at designers. Let’s see how it holds up in testing. In order to give the monitor a fair shake, we’ll be examining its performance using our normal suite of benchmarks using the Spyder4Elite colourimeter. To begin, we calibrated the monitor to 120 nits brightness, which corresponded to a brightness setting of 33, contrast of 50 and gamma setting 3 (default). sRGB mode was engaged, and all other features were left at their default settings. You can download the ICC / ICM file below, although each monitor is different and this may not produce a better result than the factory settings. The monitor was calibrated using the Spyder4Elite colourimeter, which has some flaws but is the most advanced testing equipment we have at present — an upgrade to a X-Rite i1Display Pro is planned. 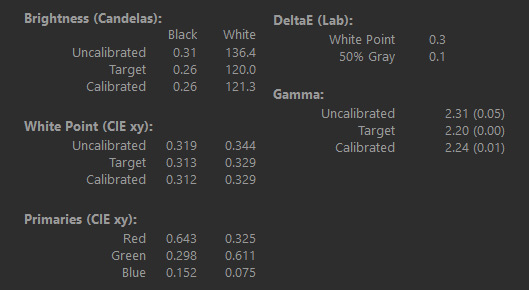 After our initial calibration, we’re pretty much on target — a little dimmer than hoped, but white points are almost perfect and ΔE (error) values are impeccable too. The gamma is a little bit off, at 2.24 instead of 2.2, but it is at least improved from its 2.3 starting position. These are great initial findings, so hopefully that’s a sign of things to come. 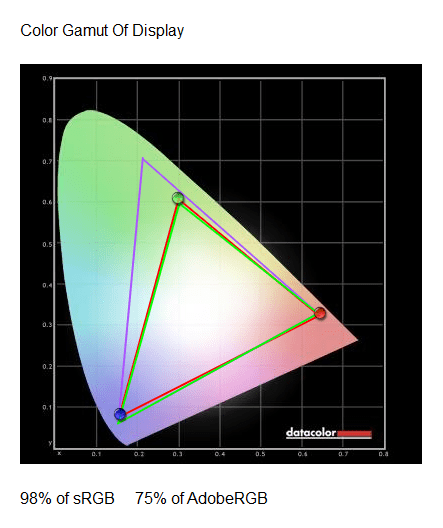 Ironically, the PD2710Qc isn’t able to hit 100% sRGB coverage in its sRGB mode, according to our colourimeter, hitting just 98% instead — close enough. In terms of brightness, the PD2710Qc is able to get pretty close to its 350 cd/m2 reading, hitting 330.7 at 100% brightness. However, it’s unlikely you’ll need anywhere near this amount of brightness unless you’re in a very well lit environment; we found settings between 35 and 75% to be more comfortable. The Spyder4Elite consistently overstates black levels and thereby understates contrast ratios, but based on past results*, I’m happy to state that the monitor is capable of reaching its promised 1000:1 static contrast ratio. This is a standard figure for an IPS panel, and should be enough for image editing purposes (although movie watchers or gamers might prefer a VA panel which can offer double or triple the level of contrast. 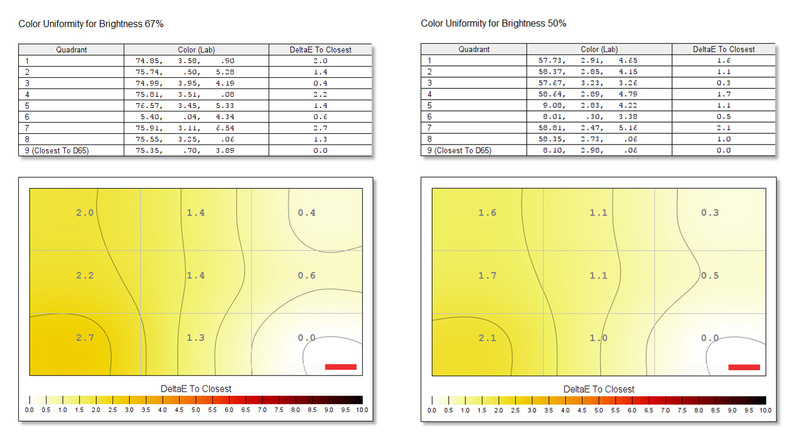 *Normally the contrast ratio is underestimated by a factor of between 2.75:1 and 3:1. For example, the Predator Z1 monitor we tested earlier has a stated contrast ratio of 3000:1, and our tests showed 1060:1 on average. This is a known issue with the Spyder4Elite colourimeter we’re using; we’re currently raising funds to replace this with a better but more expensive model. The gamma is read at 2.28 on gamma setting 3, a little off the 2.2 ideal that we were aiming for. 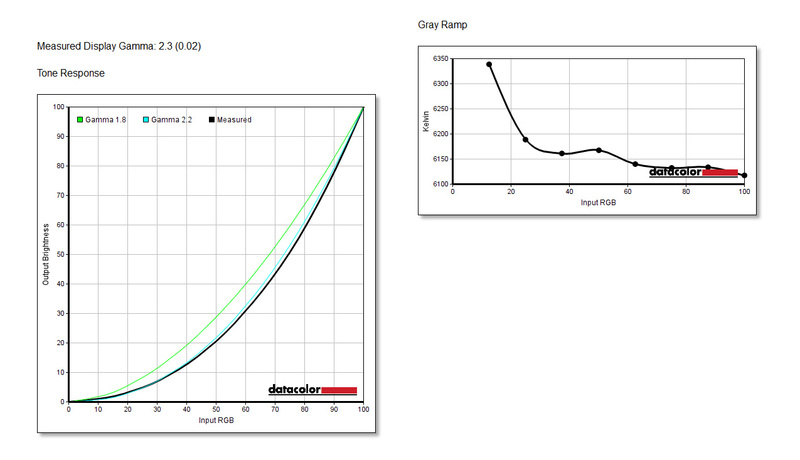 The grey ramp looks quite normal, with reasonable temperature throughout the range. Colour accuracy is always an important test, and that goes double for a monitor that is intended for use by photographers, image editors and other colour-sensitive workers. 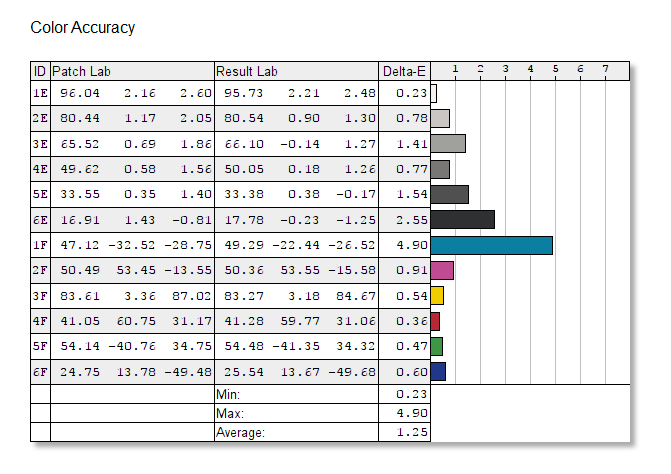 Here the PD2710Qc shows strong results, with an average ΔE value of 1.25 — excellent. Teal 1F again is the troublemaker, with most other shades sitting well below that 1.0 target. Colour uniformity is also important, and here things are also good but not great. We see ΔE values that deviate considerably in the left side, particularly in the lower right. However, this does improve at more realistic brightness levels, moving to a level that isn’t likely to be noticed by eye. 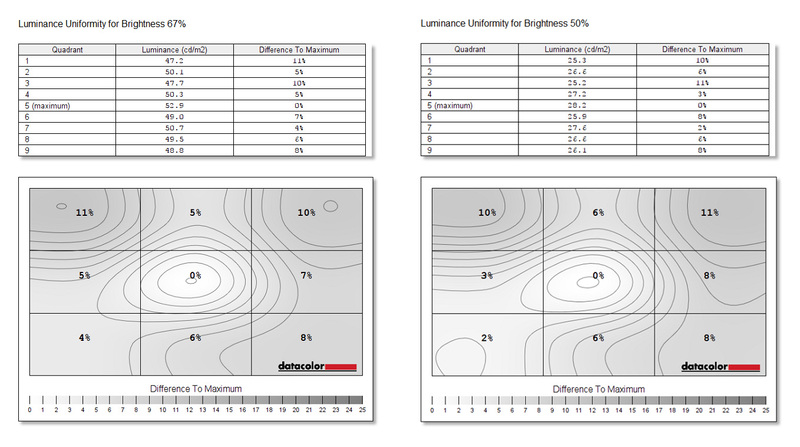 Luminance uniformity is also reasonable, showing a maximum deviation of around 11%, this time in the upper left and upper right quadrants. 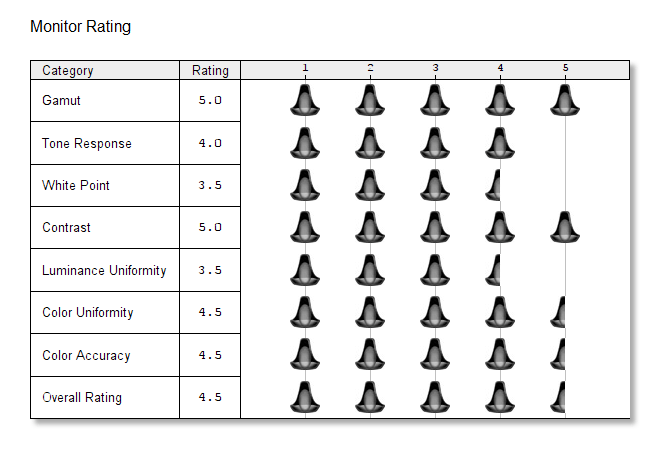 Finally, we have our monitor rating, as determined by the Spyder4Elite software. I generally put more stock in colour uniformity, but otherwise tend to agree with these, and that holds true for today’s BenQ monitor. 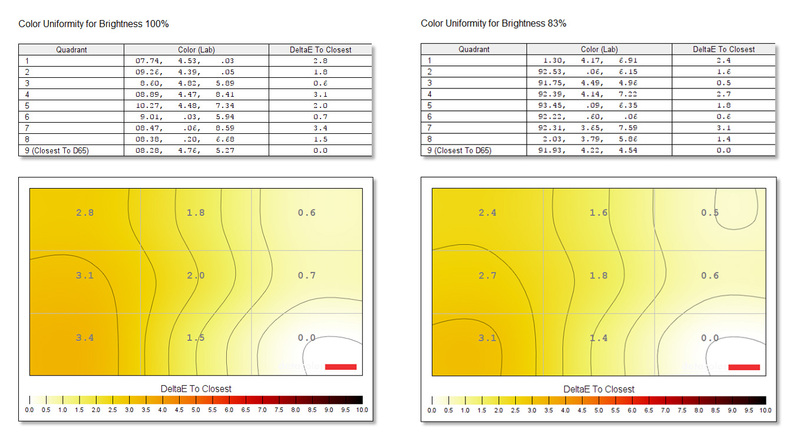 We have good results in gamut, contrast, colour uniformity and colour accuracy, with the lower points coming in luminance uniformity and white point. Overall, it’s a strong result that indicates this monitor should be fine for image-sensitive work. Now let’s move onto our first-hand use of the monitor. This is a little different for each monitor we review, and in this article we want to talk about the suitability of the docking station, the monitor’s use in colour-sensitive work and gaming performance (after all, this is XSReviews!). The most important thing to know about the docking station is that it’s an entirely separate piece of electronics to the monitor itself. That means the monitor and the dock each require their own power supply to function — a standard power cable for the monitor and a circular plug for the dock. You also need to connect the dock to the monitor with a DisplayPort cable (provided) if you want to use USB-C for video. So to connect your single USB-C cable to your laptop for video, audio and USB, you need three more cables working in the background. USB-C can also provide power, but you’re limited to 60W. That’s more than enough for smaller, more power-efficient laptops and MacBooks, but the XPS 15 9560 we’re using can draw up to 130W. That meant that the laptop drained its battery a little more slowly, but it still drained it all the same. We ended up plugging in the laptop’s original power cable to ensure we remained at 100%, which again adds to the number of cables in use. 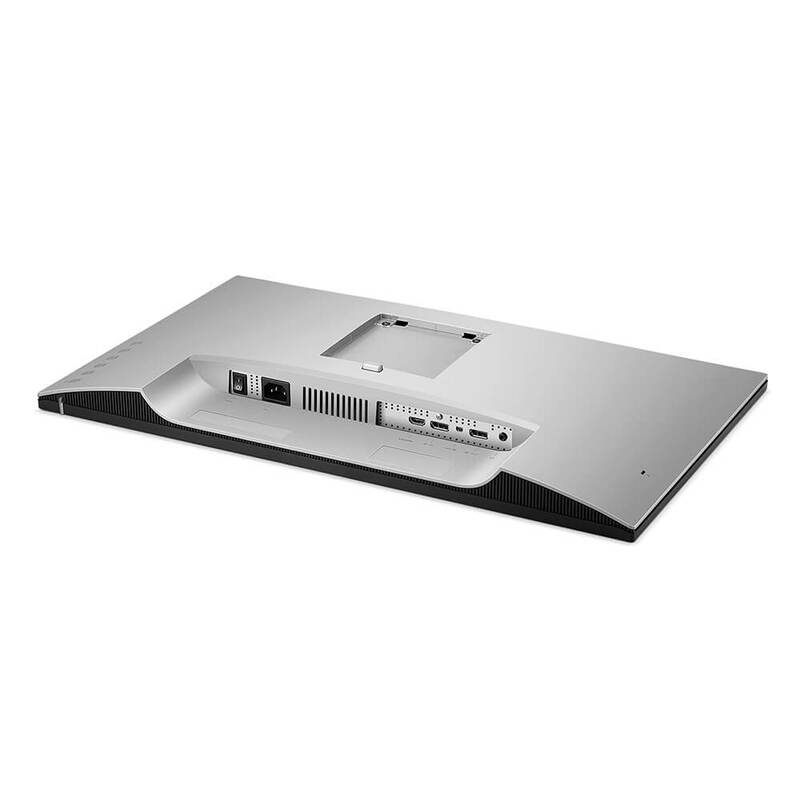 With good cable routing though, most of your cables can be hidden behind the base itself and you do get a reasonable dock experience. The four USB 3.0 ports are more than enough to connect all of your usual peripherals — mouse, keyboard, gamepad, SD card reader and so on — and the ethernet port allows rapid network access too. We faced no performance issues in our testing, and plugging in just a USB-C cable (and maybe power too) is certainly a time-saver compared to plugging in USB, video, audio and power each time. The PD2710Qc is designed for professional use, and in our testing (and in our benchmarks), the monitor was more than up to the task. The monitor’s excellent colour accuracy and uniformity ensures that photos will look as intended, as will support for full sRGB and Rec.709 (high-definition TV) gamuts. Pictures on the monitor appeared crisp and natural, with the 1440p resolution making it easier to colour-grade 1080p footage with room for controls. That same resolution also doesn’t require any scaling in Windows or Mac, which ensures the monitor will look good with a wide range of applications, web pages and assets. 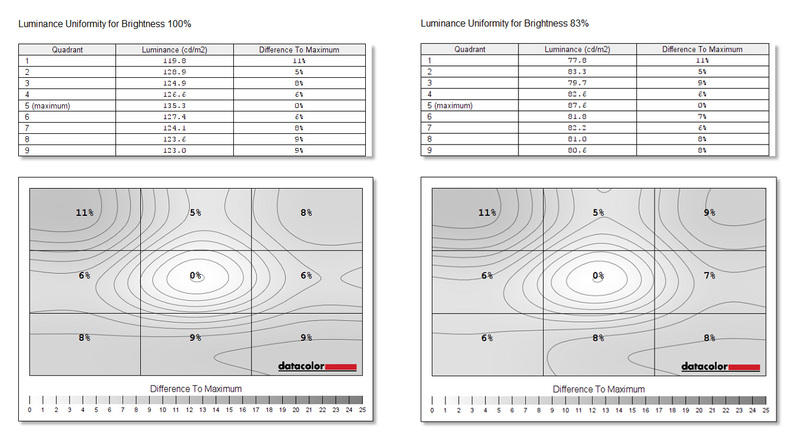 The monitor also comes with a number of helpful modes, including a CAD/CAM mode, an animation mode and a darkroom mode. These all seemed relatively helpful, although if you are used to working without these modes you may find it preferable to continue with what you’re comfortable with. In any case, it’s nice to have the option — a sentiment shared with the inclusion of the low blue light mode, which removes the need for warming modes in flux and recent versions of Windows 10. In terms of adjustability, the PD2710Qc also appeals. You can easily use the monitor as a standalone device in landscape or portrait orientations, or fit your laptop below the screen to double up. Height adjustment is particularly welcomed — it is nice to be able to accommodate people both tall and short with the same monitor. Having a laptop open on the stand does limit your range of motion somewhat, so you may have to close the laptop or temporarily remove it if you’re switching from landscape to portrait mode, or moving the monitor to its lowest height setting. We tested the monitor in a number of games, including Pillars of Eternity and Counter-Strike: Global Offensive. The 60Hz refresh rate and 5ms response time means this monitor isn’t an ideal choice for fast-paced games like CS. (We’d recommend an IPS monitor at 144Hz if you want to get good performance for both professional and gaming uses.) However, slower-paced games like Divinity: Original Sin 2 and Pillars of Eternity don’t share this restriction, allowing you to admire the detailed landscapes and bold colours of these games at 1440p. This isn’t our first choice for a gaming monitor, but it can certainly do the job in slower genres if called upon! The PD2710Qc is a stylish monitor, tuned for professional use with all of the modes, features and adjustability you could ask for. While you can spend less and get an equally good screen (or even a 4K model), the inclusion of these extras and the USB-C laptop dock make this BenQ monitor a fine choice. 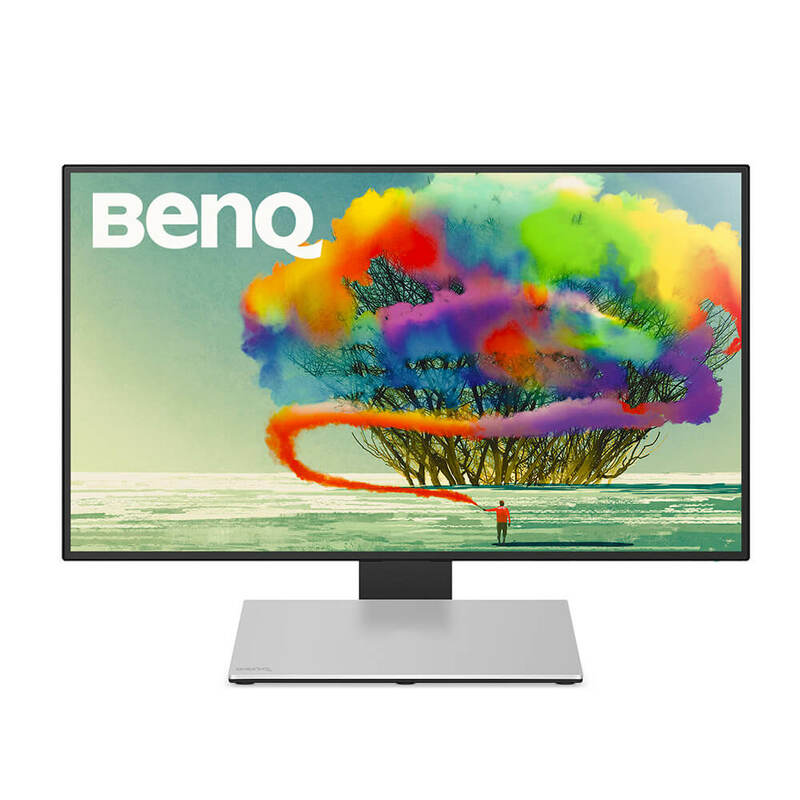 You can find the BenQ PD2710Qc on Amazon via the links below.